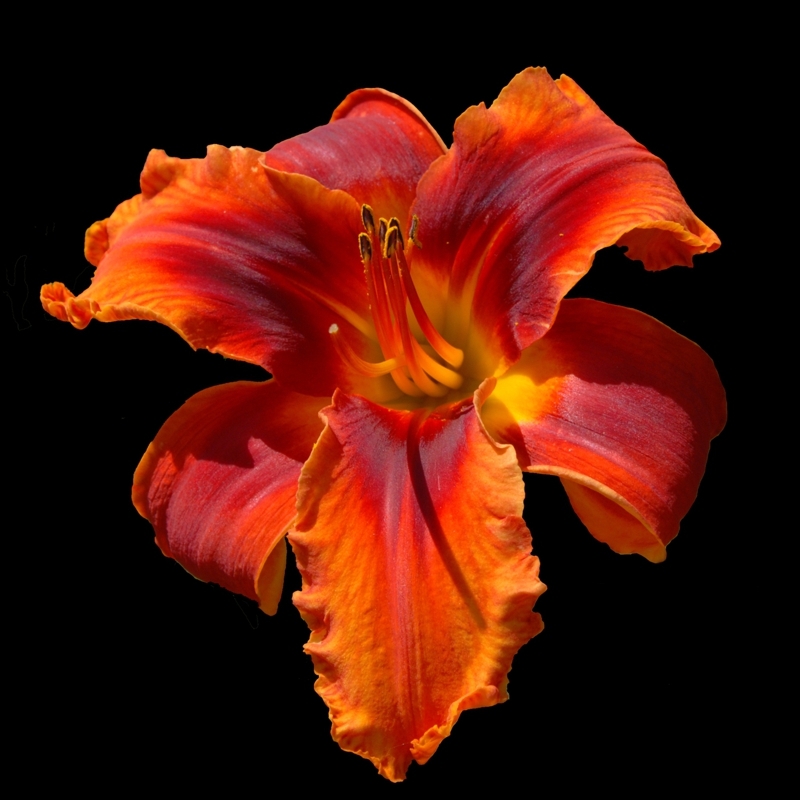 Semi-Evergreen Tetraploid, 6.5" X 36"
Dragon Flame is the most brilliant orange of any flower I have ever seen, so the name Dragon Flame fits well. 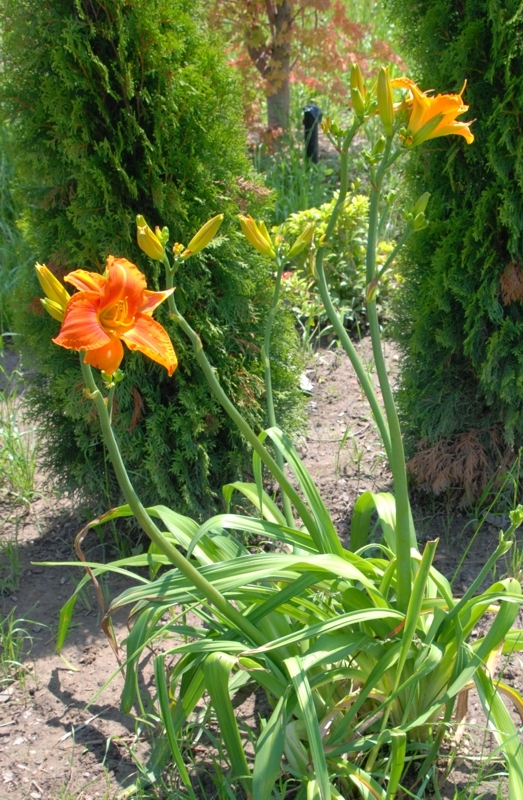 It has 7 inch flowers on a 35 - 40 inch stalk, and 18 - 25 buds that bloom from mid July to early August. Semi-Evergreen, very hardy in our northern climate and fertile both ways. Note that the "unknown" parent is only unknown in so far as I do not know its official registered name. 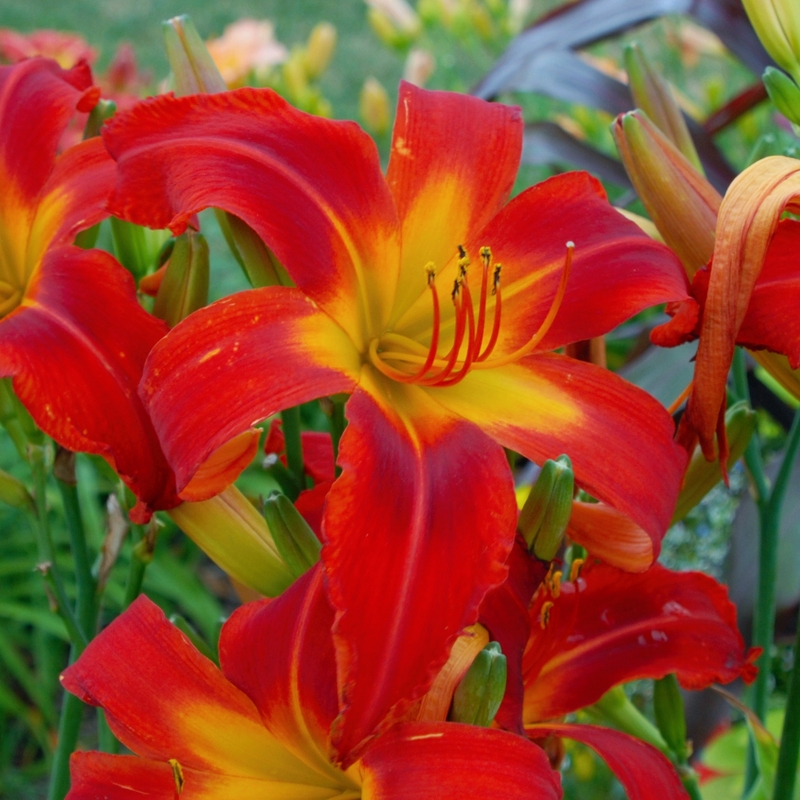 It is used often in our hybridizing. It is an unnamed one found in the gardens of another Ontario hybridizer. It was registered, but the labels had been lost. 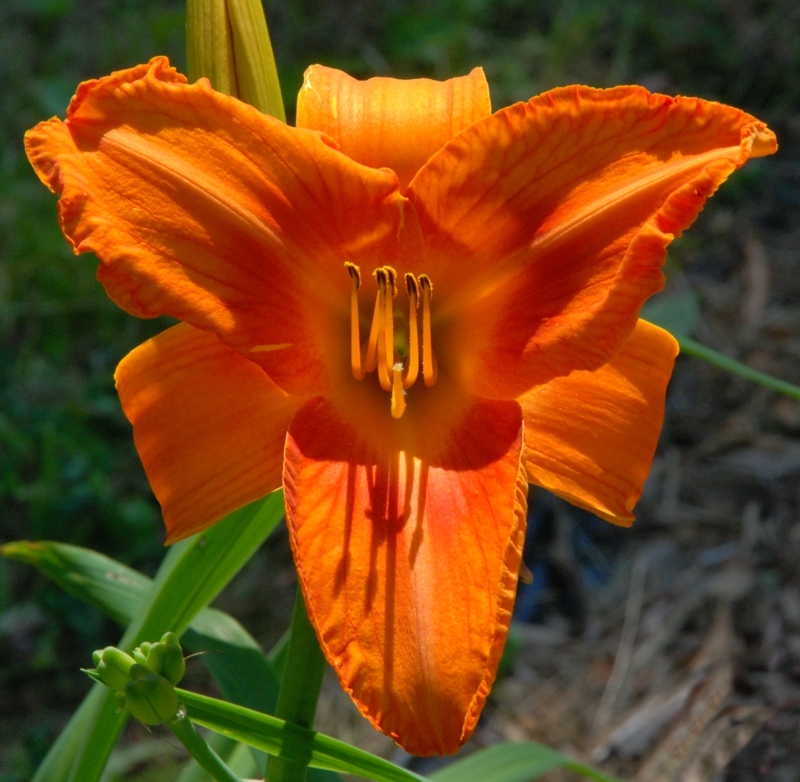 Paula acquired it without concern for its name since its flowers are so intensely bright red-orange. It is also one of the parents of H. Paula Jane Burgener and Bronze Dragon.